Combining fantasy and reality in fiction is no easy task. 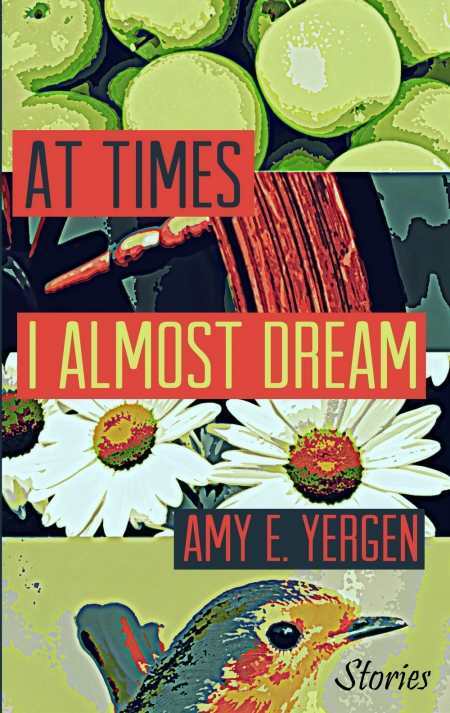 Amy E. Yergen’s At Times I Almost Dream serves up a world of almost child-like fantasy mixed with heavy adult situations. A collection of short stories, each narrative punctuates the tough topics of love, loss, and lust while moving in between thresholds of the Earth and mind. It’s an odd offering that isn’t always easy to fully comprehend but has a consistently fresh delivery, encouraging the reader to turn the page each time. Moving from cover to cover, one is treated to description-rich passages that provoke the senses, word-by-word, line-by-line. The clipped, evocative final paragraphs of “Chamber of the Sea” could titillate a literature snob or romance novel reader equally. Similarly, the sexual apparition of Miranda in “Amphibian Girl Woman” is provocative yet mature. In fact, the descriptive passages of each story seem to be Yergen’s strong suit. She reveals details about an incarcerated brother of the female narrator in “Handspun” and the hell of high school in “Rapunzel’s Daughter” over two generations that show strong, well articulated craftsmanship. All the stories have exciting moments, and use all varieties of narrative techniques. However, this device is often jaunty and makes comprehension unnecessarily difficult. The structured but jargon- infused interplay of MSN-backlogged conversations and narrative paragraphs in “Bonsai” are hard to understand and ultimately confusing by the end. That and some of the obvious fairy and fantasy tale references—“Better to Eat You With,” “Puss in Boots Goes Walking”—don’t necessarily infuse the stories with any added character or emotional value. Entering new literary worlds can be equally daunting and exciting. Yergen’s book offers one that is both; it has a lot of surprises and often requires serious, if exhaustive, readership. In all, At Times I Almost Dream is a world worth investigating and one that can, in the end, be enjoyed by any reader looking to take a chance on something new.